TORONTO, April 9, 2019 /PRNewswire/ -- The daily challenge of keeping up with the frenzied, fast- paced, and often impersonal nature of everyday life often leaves us craving real connection, in person and in real time. Each year, millions of vacation days go unused despite countless surveys and reports highlighting the universal desire for more vacation time. Four Seasons Hotels and Resorts, the world's leading luxury hospitality company, understands that time is the greatest luxury of all. 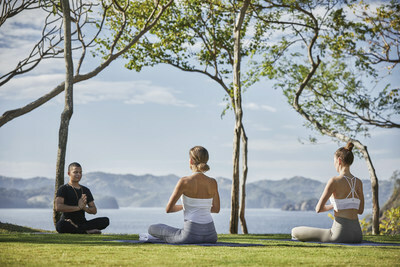 Four Seasons reminds guests to spend more meaningful time with loved ones and form new connections. A new collection of property experiences requiring no more than 1 day, 1 hour or even 1 minute. "At Four Seasons we know that life's responsibilities so often get in the way of life's pleasures," says Christian Clerc, President, Worldwide Hotel Operations. "Even if you can spare no more than just one hour, even a single minute, we have curated opportunities at Four Seasons properties worldwide that focus on spending more meaningful time with loved ones, forming new connections with the world around us, and getting reacquainted with one's self." Take Your Time: Daily Discoveries is a new collection of property experiences that require no more than 1 Day, 1 Hour or even 1 Minute, and yet have the potential to create lasting memories through deeper connections with people, places and cultures. Ranging from safaris on land and sea to savouring the first bite of a local delicacy, Four Seasons Take Your Time experiences reflect the rich culture of each destination and the people that make them unique. From truffle hunting in the Tuscan countryside with the Michelin-starred culinary team at Four Seasons Hotel Firenze to gathering Hawaiian sea salt the traditional way at Four Seasons Resort Hualalai or participating in Lebanon's olive harvest with Four Seasons Hotel Beirut, meals are never more flavourful than when you put hand to soil, sea and vine. Or set sail from the new Four Seasons Astir Palace Hotel Athens on a kaiki boat and spend the day fishing, seeing ancient sites, swimming in pure blue waters and enjoying a romantic sunset dinner for two. You don't need to be a pro athlete or yoga master to enjoy the feeling of getting outside and doing something new, even if only for one hour. Let your inner ace come alive during a tennis lesson at The Ocean Club, A Four Seasons Resort, Bahamas, where Leo Rolle has been coaching the famous and not-so-famous for decades. In California, an entire city becomes your private yoga studio with an expert session atop the rooftop helipad at Four Seasons Hotel Los Angeles at Beverly Hills. Baseball fans of all ages will thrill at the chance to go behind the scenes at Fenway Park, with the added fun of round trip limo transfer from Four Seasons Hotel Boston. Rather stay in? Head into the cave à fromage at three Michelin-starred Caprice at Four Seasons Hotel Hong Kong for expert instruction in creating a custom cheese board. Enjoy the moment when the Mediterranean first comes into view as you glide down the hillside at Grand-Hôtel du Cap-Ferrat, A Four Seasons Hotel in a glass funicular en route to the Club Dauphin pool. Round another pool on another continent, the sweet aroma of cinnamon sugar precedes the arrival of the churro cart at Four Seasons Resort Punta Mita and the delicious indulgence of tucking into Mexico's most beloved pastry. Another delightful moment comes when a homemade marshmallow plunges through the chocolate lattice and into a cup of "haute chocolate" at Four Seasons Resort and Residences Vail. In Hawaii, the moment might come as a rescue bird is gently placed on your arm by resident aviarist Bruno Ambry at Four Seasons Resort Lanai for a once-in-a lifetime photo opp. Meanwhile in northern Thailand, guests of Four Seasons Resort Chiang Mai are invited to make an offering to temple monks in exchange for heartfelt blessings and the hope of good fortune in this ancient Buddhist ritual. 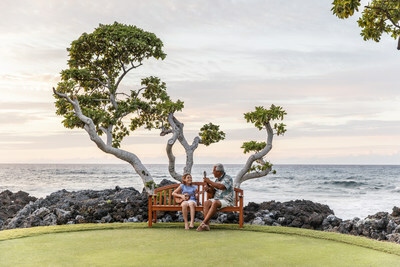 In celebration of these thoughtfully designed experiences, Four Seasons surprised three unsuspecting time-starved individuals seeking more time to connect with those who matter most. Follow along on their journey at Four Seasons Take Your Time, as they rediscover the gift of time and set off on inspiring and transformative Four Seasons experiences, showing that time isn't made; it's taken. No matter how you choose to spend it, Four Seasons reminds you, it's your time to take. For details on these and dozens of other 1 Day, 1 Hour and 1 Minute inspirations, visit Take Your Time: Daily Discoveries, talk to the expert local staff at any of more than 100 Four Seasons hotels and resorts worldwide, and share experiences with others through #FSTakeYourTime.